It’s a new week Dubai and if you’re already looking for ways to fill it, you’re in the right place. 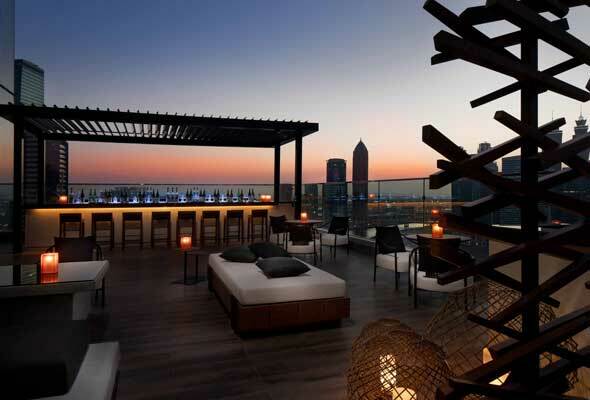 Whether it’s dining at the hands of a local or international chef talent, heading to a new party night or a romantic film alfresco, we’ve got the best of the city’s offerings. 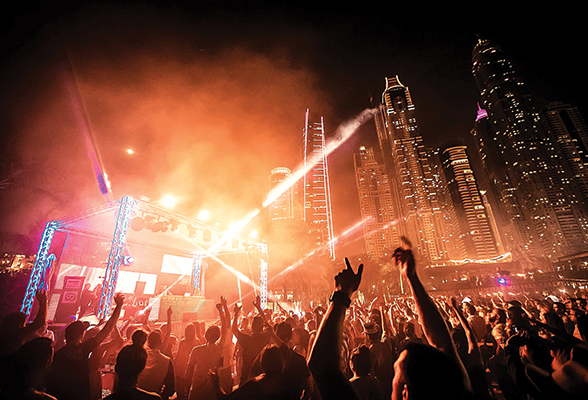 Here are 8 brilliant things to do in Dubai this week. Torno Subito is inspired by Massimo’s childhood on the Italian Riviera, and takes its name from signs that would hang in the shop windows when their owners would take an extended lunch break. Roughly translated, ‘torno subito’ means ‘I will be right back”.On the menu, guests can expect ‘deeply personal nostalgia’ mixed with ‘decidedly avant garde’ dishes on a menu of Massimo’s favourite recipes. Barasti Beach Bar is jumping on the 10 year challenge and from February 10 they’re going back ten years in pricing, across the entire menu. Head down to the famous beach bar and get ready to get nostalgic as Barasti throw it back to 2009, complete with old school anthems, quirky 2009 style pop-ups and slashed prices on food and beverages. Enjoy selected classic Barasti beverages for just Dhs29, plus great deals on Barasti classic dishes, all day long! 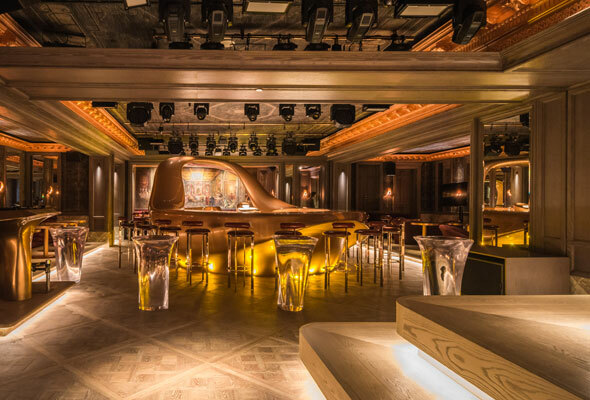 FIVE Palm Jumeirah has a new Sunday party night perfect for kicking off the weekend in style. It starts at Praia, the alfresco lounge at 8pm, with deals on dinner and drinks, before moving over to Secret Room, to party into the late night with resident DJs spinning hip hop and R&B hits. 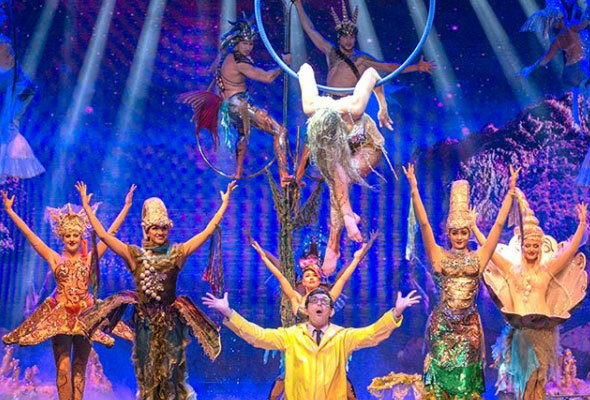 The aptly called ‘Wow’ show hails from Las Vegas, and will run for six weeks from February 11 at The Rotunda at Caesars Palace, and promises a dazzling display of family-friendly variety acts. The fast-paced show features more than 30 acrobats, aerialists, dancers and performing artists who fly, flip, fold and dance their way across the stage. It’s accompanied by impressive 3D projections and multi-media holograms. 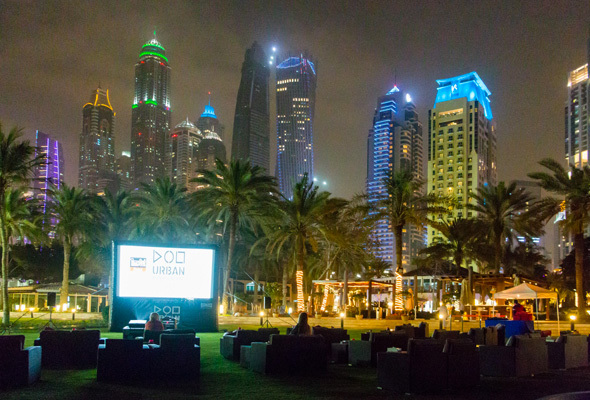 The Urban Outdoor Cinema shows a variety of family-friendly classic films three times a week on a Saturday, Sunday and Monday. This week, the films have got a Valentine’s theme, with Notting Hill showing on Monday night. 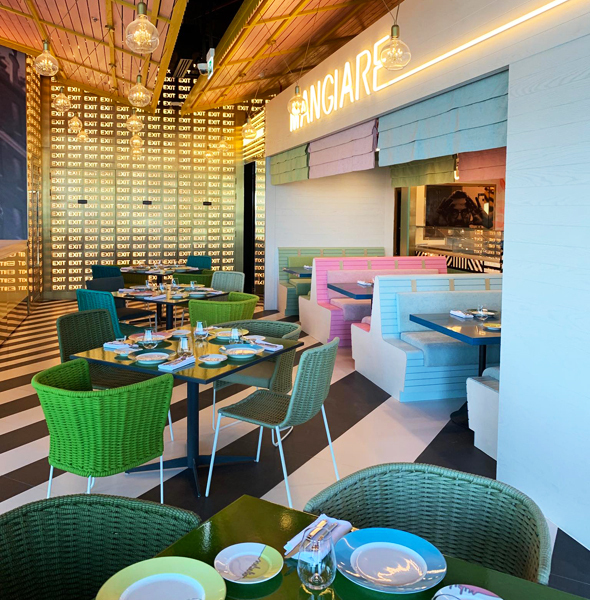 Plus, there’s food service from the hotel’s pizza restaurant and poolside lounge as well as a pop-up bar serving popcorn and bites. Wrap up warm as it gets cool at night. Kira, Kira! 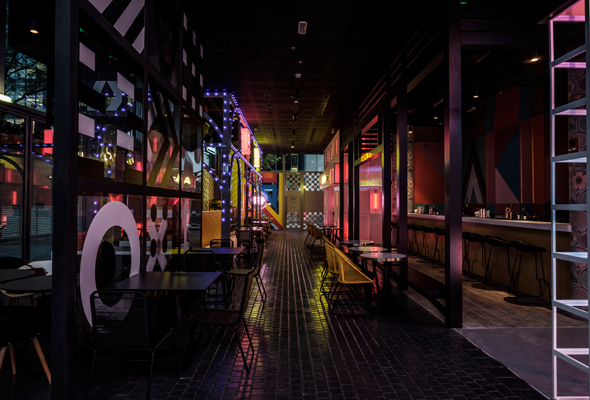 at Morimoto Dubai is set to become your new Tuesday ladies’ night go-to. As well as three free drinks, ladies can enjoy a 40 per cent discount off a select menu, which features signature dishes such as Tuna Pizza, Salmon Poke and Spicy Tuna Tacos. Akiba Dori is hosting a pop-up by acclaimed local chef Reif Othman on Wednesday February 13. The seven-course tasting menu will run from 7.30pm to 10.30pm and is priced at Dhs299 per person. 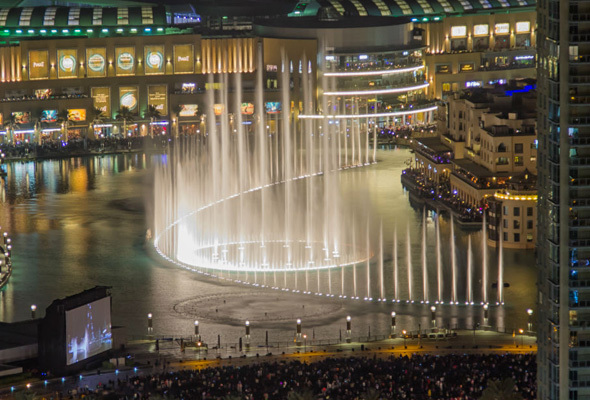 To celebrate Valentine’s Day this year, the Dubai Fountain will add one of the Oscar-nominated film, A Star Is Born’s most iconic singles – I’ll Never Love Again to its repertoire. The song will play at 8.30pm from Thursday February 7 until Valentine’s Day on Thursday February 14.